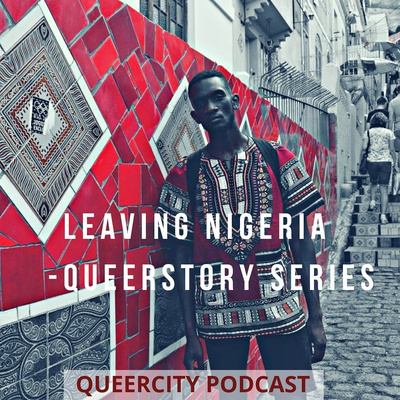 Welcome to QueerCity , Nigeria's first LGBT lifestyle based podcast, nothing goes unturned !!! Talk about it, tell us your stories, we are having a conversation. Join the chat.. Awesome things happen here..
Internalized homophobia is when a gay person sees being gay as a bad thing. In some cases, someone who is gay may reject his or her own sexuality. 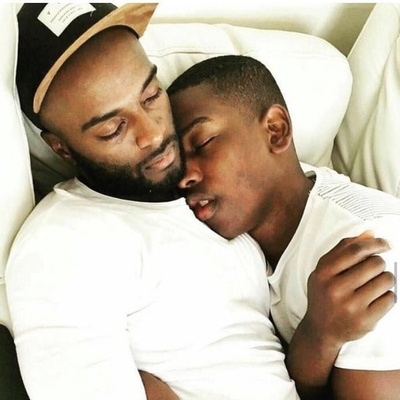 One who is struggling with internalized homophobia may also have an ongoing internal conflict over his or her feelings of sexual attraction and the desire to be heterosexual. This week Queernerd talk about the harms of hook up, with excerpt of a violated person., he calls for safety. Quite a number of people are in Nigeria are living their true identity, despite the Nigerian anti-gay law of up to 14 years imprisonment , of these thread of persons are Peter Kass, Pamela Adie, Emmanuella , and until lately, Bobrisky came out as Nigeria’s first trans woman, wow !!! a crossdresser or a trans woman ???..... what should Miss Sahhara say, didn’t she come out as trans, is Veso Oke fake??? 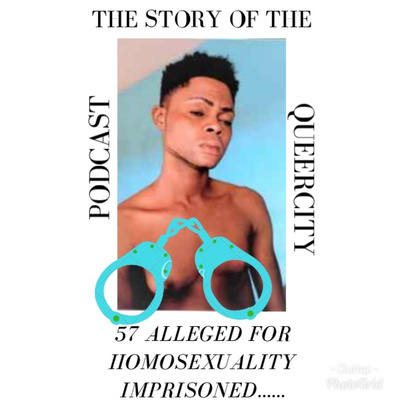 On this episode Queernerd talks about how true Bobrisky is, and who is Nigeria’s first celebrity transwoman, is there even a transwoman in Nigeria ? Bobrisky and the Nigeria LGBT community ?? Bob’s safe-house for Trans people. 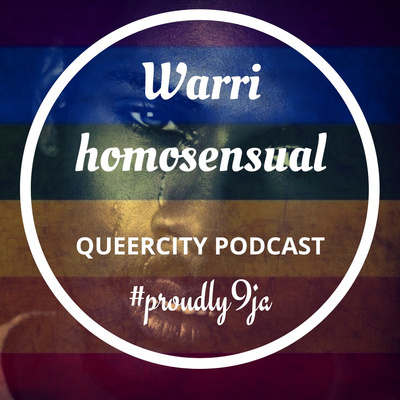 Join the discussion, link below……… available on itunes, spotify, google podcast, and every other place you get your podcast…………………………………………………….. Nigeria’s first LGBTIQ LIFESTYLE podcast……….we’re queer here, we’re LGBT here. 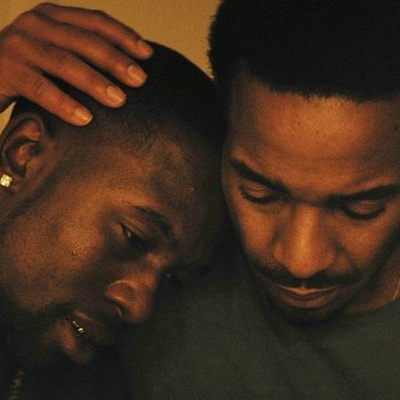 Lets Kiki, gag and learn, no joke here hun, all of then ditched, talking about stalkers of a 21 years old..
Queernerds takes y'all through his top 5 LGBT movies that could be seen on youtube.... Enjoy. 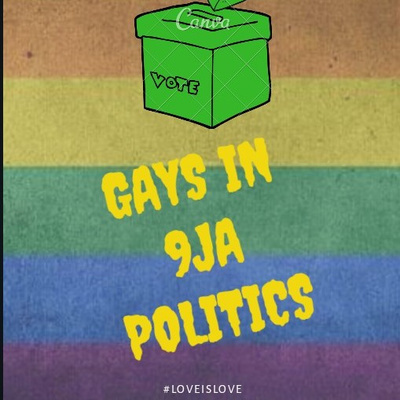 August 2018, 57 men were alleged of having a gay initiation party somewhere in Egbeda, Lagos. Of the 57, 1 brave person tells us their ordeal with the Nigerian Government. 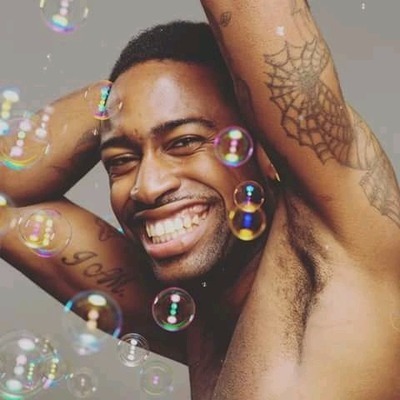 Daniel Oluyomi Asaya (Dan Yomi) is the founder of “Living Free with Dan”, an initiative aimed at dispelling the myths around African Queerness and Mental Health. Prior to that, he served as the President of the Student’s Union at Bournemouth University in the United Kingdom and was the first Black person to be elected into this role. Dan holds a 1st Class honours degree in Information and Communications Technology and a Masters degree in Information Technology. He’s passionate about Equality, Diversity, Inclusion, Mental Health. 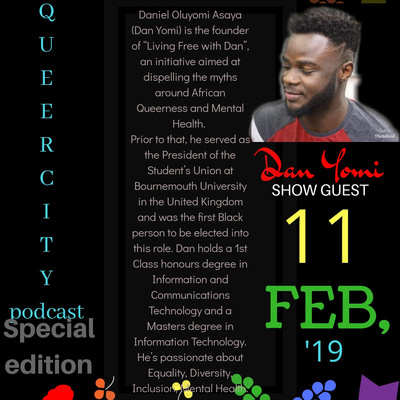 An episode made in pidgin english discussing the buts of the Nigerian LGBT community, make una follow gbadun the yarn. 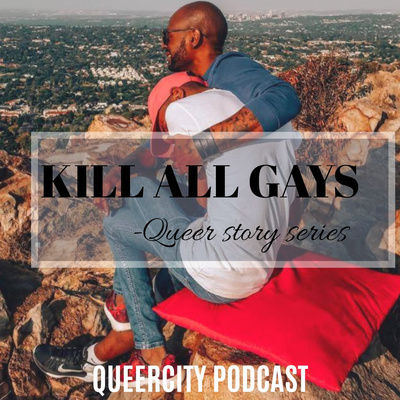 Came back "queerfully brutal" Season II is back with loads of tips, get your flutes we're having champagne 😉 while we talk, gist, interview and tell our gay stories.... We're queer here, We're LGBT here. 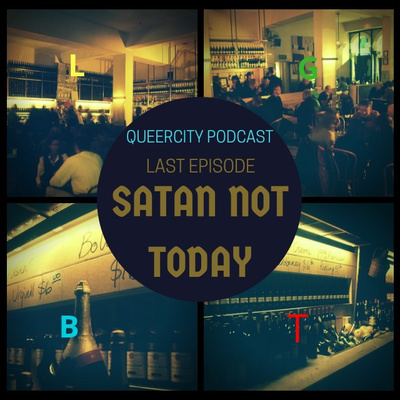 Queerly Satan Not Today !!!! Polyamory - Yay !!! Or an Excuse to cheat ??? "I have two boyfriends who are also dating each other they said" Polyamory ain't a new thing in 2018, it is 21st century and everyone is doing everything they could to stay fine and sane, polyamory is one of these for those who are out there to find love. Loving 2 or more persons at a time and also them loving each other without getting to lean on one side and ignoring the other. But then some folks has painted or choose to see polyamorous persons as simply those who simply want to cheat !!! Do you also think so ??? 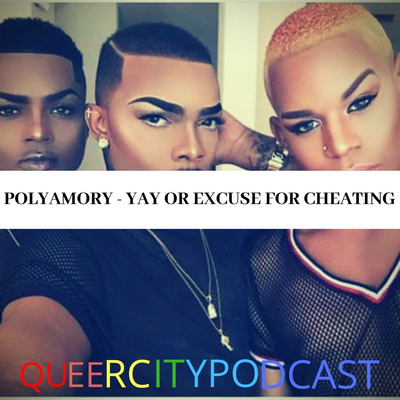 Listen as Queernerd takes you on a short journey of polyamory. You may not want to refer to someone as “queer” unless you know that’s how they identify themselves. When talking to someone about their sexual orientation, use the terms that they use. It’s okay (and often encouraged!) to ask what labels folks prefer. 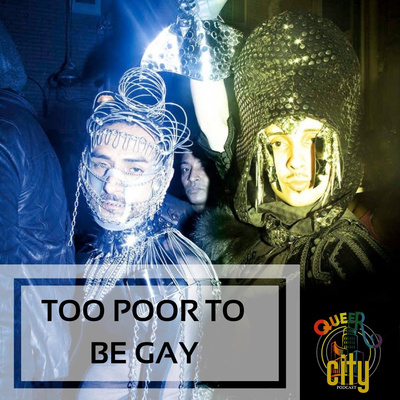 The premier of our QueerStory series, Tyler comes up to tell us his story. Tyler is a young Queer Nigerian, who has experienced violations and decides to serve us the tea of his struggle, fight, and survival... Since the enactment of anti gay law, lots of non sate actors have taken to the streets to harass , and basically violate LGBT persons mostly on the basis of assumptions. Sissiphobia is a common phenomenon amidst the LGBT community. And it takes different forms, from the #Nofems hashtag to verbal actions... Listen as queernerd speaks about it. 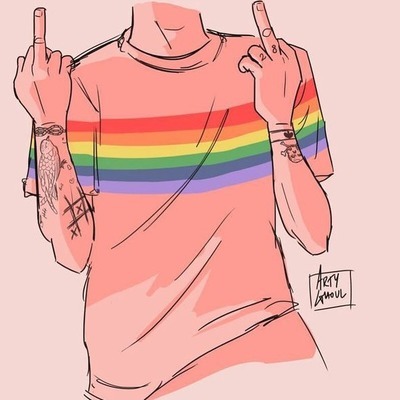 LGBT rights are human rights, and till they are respected, you have to run, Run for your life, Run because these devils are behind you. This episode brings the matter of stereotypes to the table , and has the table shook by breaking off the pros and cons to roles act. It includes the negative impacts of everyone trying to fit into a box that can't accommodate us all, for we all are different beings and we are all on separate adventures, the episode serves the thrill of exploration, be yourself !!! Explore !!! We Don't Live Here Anymore tells the story of two teenage boys who become the centre of unwanted attention because of their sexual orientation. It leads the audience through an emotional and nuanced journey of two families upon the knowledge of their children’s sexual orientation. The movie mirrors the typical Nigerian society and shows how the two different families come to terms with their love and acceptance for their children. They are forced to confront “taboo” issues and navigate their realities at home, school, and in the society, at large. .
Are you out ?? Why are you out ?? 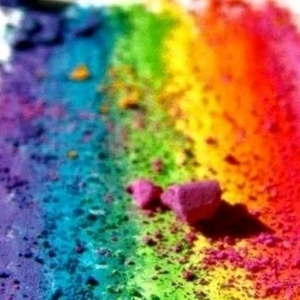 Be Queer ! Be safe ! !